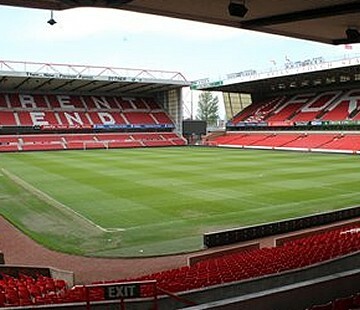 The City Ground sits on the bank of the River Trent, and has been home to Nottingham Forest since 1898. The stadium is just a few hundred yards away from rivals Notts County’s Meadow Lane, making them the closest professional football stadiums in England. One of Euro 96’s venues, the City Ground has undergone development over the years, particularly in the early 1990’s. The Trent End is the most recent addition to the stadium having opened in 1994. This is a large two tiered stand behind one of the goals, alongside the Brian Clough Stand, named in honour of their former manager and club legend. Away fans are located in the Bridgford Stand, nearest the Brian Clough Stand. 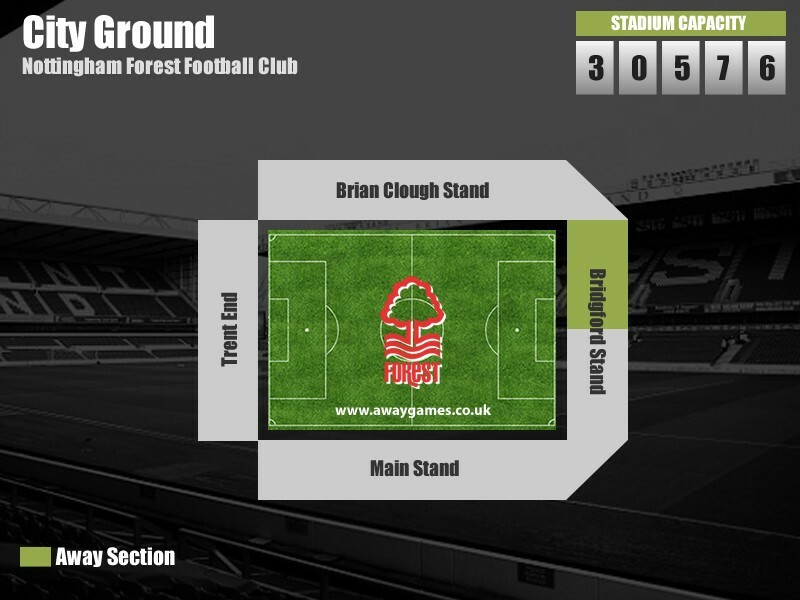 A typical allocation for is around 2,000 although an additional 1,000 fans can be housed in the Brian Clough Stand if demand requires. There are multiple parking options when visiting the City Ground, ranging from a car park at the stadium itself, a Park & Ride scheme, as well as a number of club ‘approved’ car parks within walking distance of the ground. We’ve compiled a list of car parks, below, near to the City Ground for hassle free parking while you’re at the match. City Ground Car Park NG2 5FJ £5 0.1km There is a large car park at the stadium itself for use by both home and away fans. 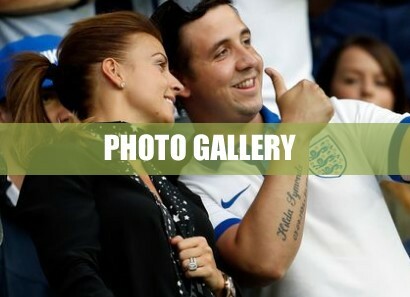 However, the club itself say availability is considerably limited and priority is given to disabled supporters, coaches, players, match and club officials. 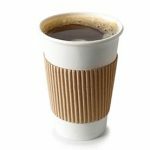 Nottingham Railway Station NG2 3AQ £4 1.6km There is a secure multi-storey car park at Nottingham Railway station, which can be entered via Queen’s Road, and this is about a 15 minute walk to the stadium. Meadow Lane (Notts County’s ground) NG2 3HJ £3 0.7km Parking is available at rival team Notts County’s Meadow Lane, charging just £3 a car and only a short walk to the City Ground. Victoria Embankment Car Park NG2 2EH £4 0.8km The council operate a car park on matchday but there is limited availability so arrive early to make sure you get a space. It’s just under a 5 minute walk to the stadium from here. County Hall Car Park NG2 7QP £4 0.4km There’s a car park at Notts County Council’s County Hall which is just a short walk from the stadium, and is only £4 to park for the duration of the match. Cattle Market Car Park NG2 3BL £3 0.9km There is a pay and display car park at the Cattlemarket, just north of Notts County’s Meadow Lane, which is just a 10 minute walk to the stadium. 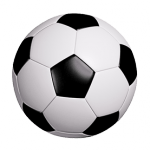 Lady Bay Sports Ground NG2 5AA £5 0.6km There is a matchday car park at Notts Rugby Club’s Lady Bay Sports Ground, which is just a 5 minute walk from the City Ground. Totan Lane Park & Ride NG9 7JB Free to Park, £2 for Tram 11.1km If you’d rather avoid parking near the stadium, there are Park & Ride schemes in operation. If coming from the North and leaving the M1 at Junction 25 then Totan Lane Park & Ride is the best option and is just a 15 minute journey into Nottingham. Clifton South Park & Ride NG11 0AB Free to Park, £2 for Tram 7.7km If you’d rather avoid parking near the stadium, there are Park & Ride schemes in operation. If leaving the M1 at Junction 24 then Clifton South Park & Ride is the best option and is just a 15 minute journey into Nottingham. Nottingham Railway Station is just over a mile from the City Ground, and will take around 20 minutes to walk. Upon exiting the station, turn left in to Station Street and then left again in to Carrington Street. Follow the road to the junction where the British Transport Building is and then go down Arkwright Street which eventually becomes Meadows Way. Follow this road all the way until you get to the bridge on London Road. Cross over the River Trent then take a left into Trentside North, where you’ll be able to see the stadium approaching. 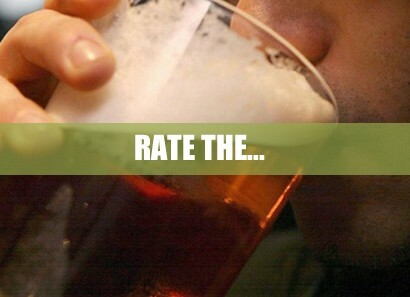 There are a number of away friendly pubs near the City Ground, all of which cater to different needs. Please note, however, that some bars require club colours to be covered and some do not allow children. However, rather than take our word for it, we want to give you the view from other away fans who have visited the City Ground. 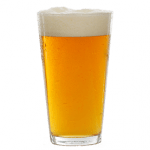 Over the coming months we will be building up fans reviews of the best places to drink on an away trip to Nottingham Forest, and you’ll be able to find them here. Nottingham offers a variety of overnight accommodation to suit all budgets. 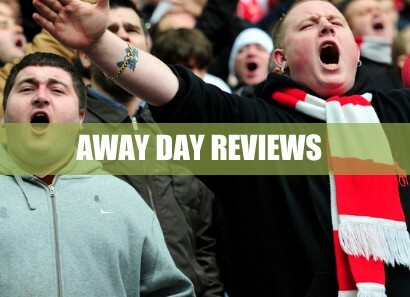 See what other away fans think of Nottingham Forest’s City Ground in our ‘Away Day Reviews’. 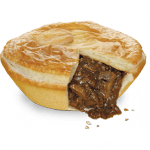 See how Nottingham Forest perform in our away day rankings, where away fans rate the pie, pint, cuppa and away day overall.